Sometimes all we need are a few true and beautiful words to make a powerful difference and give us the hope we need to keep moving forward. In this 3-hour workshop, you will be creating little notes of love to yourself. You will receive a personalized kit filled with papers, cards & art created by Melody Ross of Brave Girls’ Club. Along with your kit, you'll have access to many art supplies and other fun embellishments to make your own set of unique cards that speak right to your heart. 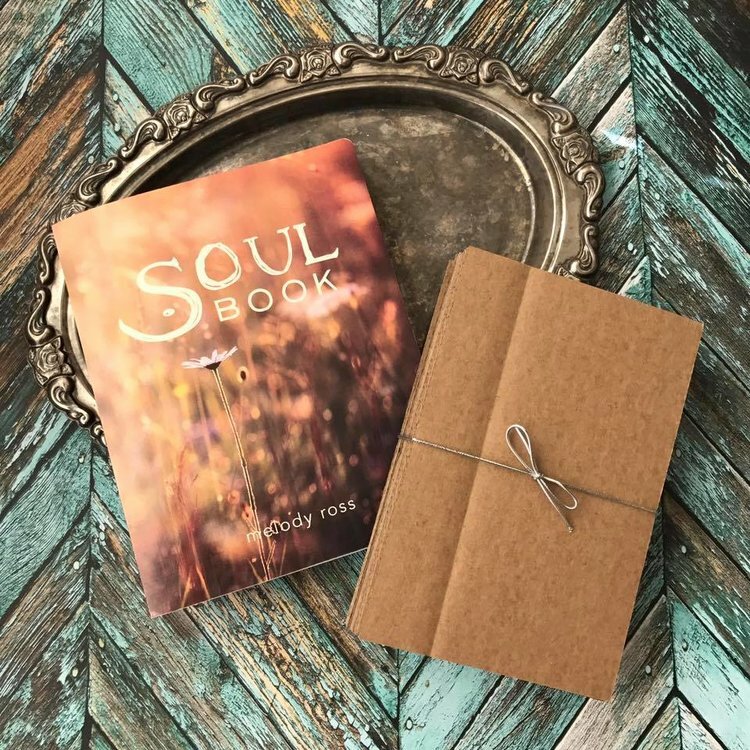 The SoulBook is a chunky, artsy, journal of sorts, filled with all the things your beautiful heart knows but sometimes forgets. In this workshop, you will be using the brand-new workbook plus your own photos to create a personalized journal/book. You’ll be guided through book construction, paint & collage techniques and other fun tips to complete your book. A common theme runs through many hero and heroine stories, doing it anyway in the face of adversity and fear. All of us, at one time or another have been faced with challenges, adversity, failure. In this empowering 6-hour workshop, you will create your hero story. Using the “She Did It Anyway” workbook, you’ll create a little book with the personal story of your challenges and the resolve to live the life you want despite those challenges. We sometimes forget that our power is in our choices. Decision maker asks critical, thought provoking questions that help make all kinds of decisions, for all ages. In this 3-hour workshop, you will leave with tools to make your decision-making process easier. Using the “Decision Maker” workbook and all kinds of fun art supplies and collage techniques, you will create an artsy deck of cards or a book, your choice.